Nancy Drew must go undercover at a prestigious girls’ boarding school to discover the culprit behind threatening notes and dangerous accidents! The school’s valedictorians are under siege, and only Nancy can figure out who it is! Is there a secret someone wants to protect or are the malicious pranks intended to scare away the competition—permanently? Solve the mystery before the threats turn deadly and you’re expelled from the case in Nancy Drew: Warnings at Waverly Academy! 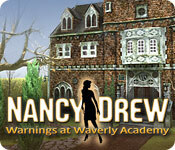 Nancy Drew: Warnings at Waverly Academy is rated 4.3 out of 5 by 43. Rated 5 out of 5 by Arthur1775 from Go to a prestigious boarding school with Nancy Drew!! 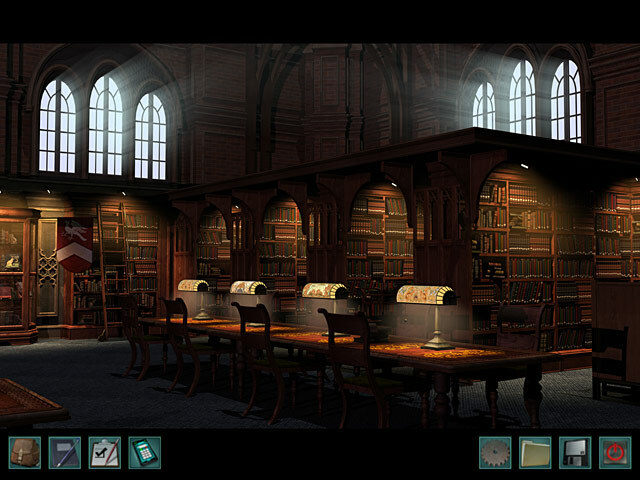 This a very exiting Nancy Drew game... Recently at Waverly Academy, rumor has it that if you recieve two threatening notes from "the Black Cat" somthing really bad will happen to you... it recently has to a young student attending Waverly Academy... It's your job to go undercover as a student to try and figure out whats going on with the recent threats! If you like:, Studying, working at a snack shack, finding hidden rooms, and discovering history on ancient chants this is the game for you! Enjoy! Rated 5 out of 5 by ILoveJeb from One of my favorites! I have played most of the Nancy Drew series so far and this is definitely one of my favorites. The characters were more realistic than in some previous games and I loved the story line and graphics! 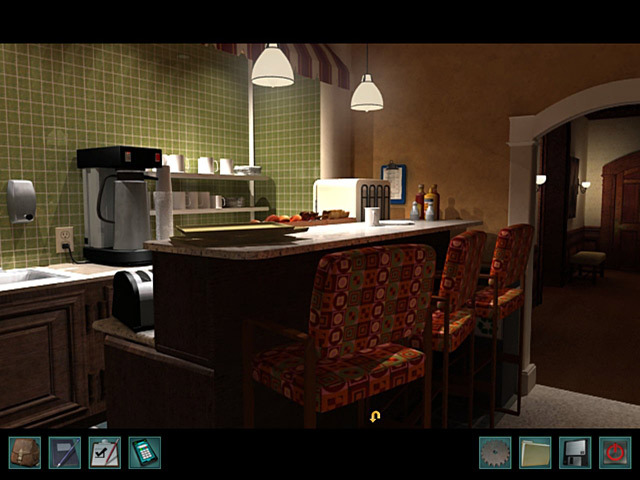 Rated 5 out of 5 by HauntedDoll from One of the best Nancy Drew Games Really fun game, lots of figuring out to do. Lacks some of the bigger adventure moments from other games, but fun cast of characters to interact with. Rated 5 out of 5 by jessx3 from My new FAVORITE Nancy Drew game so far! I've been on a Nancy Drew game binge for the past couple weeks and each game surprises me in new ways, but this one was really awesome. First of all, I loved the setting for this. 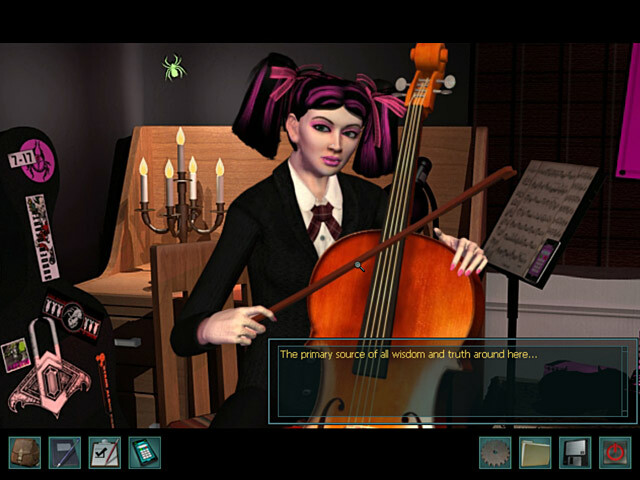 The prestigious girls academy was such a great idea and I think the settings for these games really makes or breaks them. Each character was very unique and fun to interact with. The side games such as air hockey, scram and running the snack counter was a fun way to pass the time. The puzzles were challenging on Senior and the storyline was intriguing. Rated 5 out of 5 by Kimmycoo from Fantastic and Memorable Drew Game I really loved this one. It wasn't as hard as previous games however I still have to use strategy guides to get through completely. Ive had to do that with all of my Nancy Drew games. I only cheat when its pertinent however. I loved the Waverly Academy. The various rooms and the academy itself, the grounds, the characters all of that scenery was highly well done. I loved it all. The puzzles weren't too hard but there were a few doozies. I loved the snack bar, that was a whole lot of fun, filling up trays with whatever was on the menu for the students. I loved all of the references to Poe, I am a Poe lover, so I was happy about all of the great info we learn about him(fact) and the history of the Academy and its inhabitants(fiction)This I would say is my fav Drew game, though I really loved when Nancy takes us along to Japan. I loved the Ireland visit as well. Rated 5 out of 5 by shelbyleefitz1 from Very Good! It was very good! It made you think about who was the black cat! I did finish it in 2 days but took a lot of time on it!! I really recommend it!! Rated 5 out of 5 by Brooke_Lyn from Really fun huge challenge at Waverly Academy! Great Game! I loved this very long game, I did read it was hard and it is, but fun from start to finish! I played it on Junior level and couldn't imagine ever finishing it as Senior? This was only my 3rd ND game I've ever played so some will easily finish it faster than I did! With all games I prefer to just dive in and try it my way before needing to use walkthroughs! I found with ND games it’s hard to get back on track even with the walkthrough when you play that way but It’s no fun and not worth buying just to be told step by step how to play any game for me.. I read a review that said you’ll need 2 sheets of paper and a pen, I have to laugh now. I needed an entire notebook, printer and a Map! I finished this game after days and days off and on of fun and some major frustration! You’re enrolled at Waverly Academy to solve a mystery and perform a mission as in all ND games. You don’t play as Nancy Drew in case someone googles your name, you’re name when enrolled is Becca Sawyer I found the interactions with the girls fun and just the right amount of characters and these girls are some interesting characters. Corine is your constantly writing room-mate.. Mel is the Goth Cello player next door. Rachel is the shy girl. Izzy is the over achiever. Leela is the Athlete. All girls are harboring “Secrets” at Waverly! Paige is just a voice you never see except in shadow with a flashlight when she busts you for being out of your room after hours. Having to keep an eye on your cell phone clock started out to be an irritant but you get used to it! There is a lot of running around the College inside and out but once you figure out left right up down it’s not hard to get to places fast since it‘s a small college! One area is too dark and could have been a little brighter for me. Some puzzles were extremely difficult especially if you’re not familiar with Roman numerals, don’t read music, play the piano and are geographically (illiterate like me# the “map” was a real lol! The most frustrating was the lamp shades/ piano playing. I kept stopping, saving reading and re-reading the walkthrough and it all sounded backwards! Ned’s “hints” when Nancy calls him I found to be worthless! He tells Nancy to look up a book in the library card catalog, the book name he gives her doesn't exist! I had to refer to the walkthrough to find out the right name for the book! You’re new so you get the job as Snack Boss at first I thought it was stupid then I found myself enjoying it and opened shop a few times when I didn't have to! Played Scram with Leela after I really didn't have to anymore just for the fun of it. There is a major twist you really can't call predictable at all it hit me with a real wow, In a good way for some added interesting factor! All in all it was as hard as they come but very fun to take on! I got this game with a free credit but anyone who’s wondering It’s well worth buying. Depending on skill level #I’m far from expert) It defiantly gives you hours to days of play time and worth full price! I see today it’s in the point and click game sale, to bad this review won’t be posted! I hope everyone enjoys it as much as I did! So absolutely.. Rated 5 out of 5 by gingergal from My new all time favourite nancy drew game I've played! This is a perfect nancy drew game; no impossible mini games and they have a reset buttons on a couple, no impossible timed element, a great story, largest amount of characters I think I've seen in a ND game. It's set in a boarding school and you have to find the black cat - a person sending notes to other pupils and things then happen to them. I learned a lot in this game, from music to more about a famous writer. It was all so well done. I love the more modern ND games as there isn't that intrusive old interface, and you get achievements at the end which are fun. If you don't get them all, go back to an old manual save near the end and try again (although one won't work at the end.) It's a perfect balance of great plot but not too much dialogue, great mini-games of all types and hardness and a great pace. Some ND games are more adventure this is more adventure/mini games. MINI-GAMES (spoilers ahead as to type) I'm useless at arcade games but I do love some types and hate others but here they weren't hard (and I played on senior) and loved all of them. There were other non arcade, puzzles as well and some very intelligent (well thought out ones.) As usual you can't skip any puzzle but if you get stuck just go to a walkthrough, there are really no timed ones (thankfully) that you have to do (apart from sometimes the making food one). They were all very doable but you do need to work some out and get a pen and paper. LOVED all of them and the variety of them. Usually there are about 2 mini-games you can repeat as often as you want, here there are four. I just sat for hours playing the first three over and over! 1) A great dart game which anyone can take the rules and apply to any dart game - it's a bit different. 2) Air hockey 3) Making up orders. I appreciated this one as it was varied, mostly it wasn't timed so it was just fun. Sometimes it was (when a teacher orders) but it was just one order. 4) Timed match pair - You didn't have to do this so that was good but it was good. If you play junior you get a to-do list which you tick off and hints from your friends when you phone them. Some puzzles are apparently slightly easier. There is a thing called second chance if you make a fatal mistake but it's auto saved and takes you back to just before you made it which is good. It's manual save so save often. It was so much fun from start to finish, I didn't find any annoying puzzles it was pure fun. The interactions (what you have to do) was very varied and thought out as well as the plot. Have fun playing, I know I did! My favourite up till now has been white wolf, and venice but do think this tops it. Rated 5 out of 5 by sammiJ from Favorite ND game I loved this game so much so that I have played it through 5 times already! (over a long period of time of course!). I love the mini games in this one, and played Scram, air hockey and the lunch counter over and over after I saved the game at those spots. Also found it fun to keep taking the pictures and keep getting told they were wrong (did it on purpose to have a longer game experience!). The match game in the library was fun too, although I had a hard time trying to keep the high score. I too kept wondering how such supposedly "smart" girls kept assigning me their work...I think I should be the Valedictorian by now! I did check a W/T to get through the piano puzzle, and still don't fully understand how one could figure it out without help. Surprised at who the 'bad girl' was at the end, I had someone else pegged the whole time. All in all, very enjoyable, awesome graphics, fun game play compared to some ND games that I bought and never finished because they were too difficult. Go undercover at a prestigious girls’ boarding school to discover the culprit behind threatening notes and dangerous accidents!